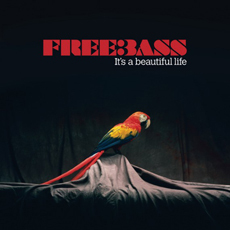 Featuring Peter Hook (Joy Division / New Order), Mani Mounfield (The Stone Roses / Primal Scream), Andy Rourke (The Smiths) and adding singer Gary Briggs (Haven / The Strays), It’s A Beautiful Life unites the bassists from three of Manchester’s most influential bands. 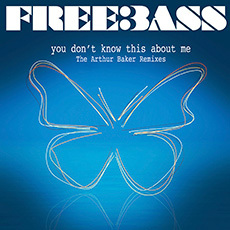 The expansive sound of Freebass melds & slyly re-interprets the members’ individual styles and influences; an inventive cocktail of Northern Soul, Dub, Krautrock and other diverse genres. It’s A Beautiful Life pays homage to the past without moving backward, adapting their illustrious individual styles & decades of experience into an innovative album that varies the mood by mixing melodic songs with anthemic darker edged tunes. The American version of the CD features an Exclusive Bonus Disc compiling three EPs that were previously available only digitally and include remixes from legendary producer Arthur Baker, The BeatlesHATE producer Fritz von Runte & an instrumental version of the band’s debut EP, Two Worlds Collide.